Broccoli has a pretty lousy reputation as a side dish. Most people don’t crave it raw (even with dip), and one can only eat so much steamed broccoli. What broccoli does have going for it is year-round availability and reasonable prices. Oh, and it’s super good for you, too. How do you make this rock star vegetable more appealing to the masses? Roasting. Ever roasted broccoli? I had not until I tried recently. It’s funny because I’ve roasted asparagus, cauliflower, carrots, squash, beans….why had I never considered broccoli? Roasting brings out such a different flavor to any vegetable. 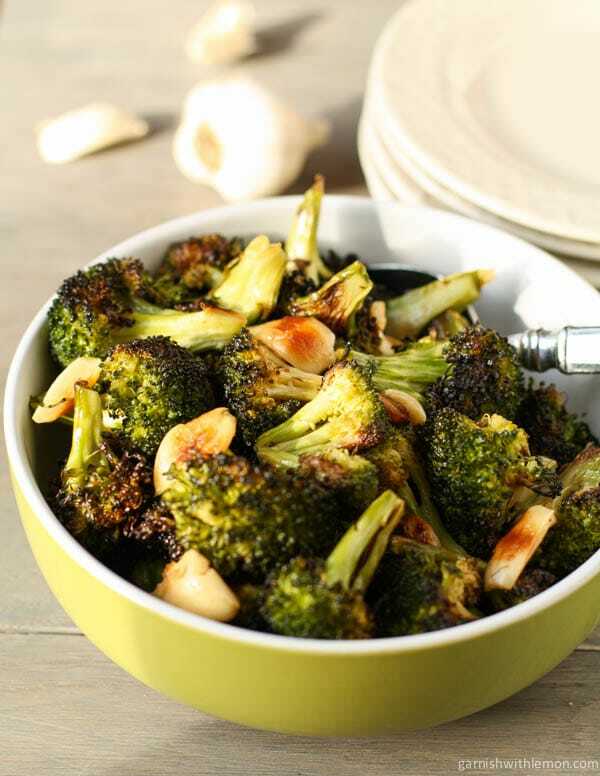 Roasted broccoli caramelizes and brings out its natural sugars. Balance that out with smooth and savory roasted garlic, and you have a combination that smells and tastes delicious. This is a fast and easy side dish – equally wonderful for a holiday menu or on a busy weeknight. All you need olive oil, garlic, salt, pepper and high heat. Remove from the oven once the tips start to brown. If you’re feeling adventurous, consider any number of add-ons such as parmesan cheese, fresh lemon juice, roasted pine nuts or even crushed red pepper for a little kick. When I served this a few weeks ago, a 7-year old asked for seconds…and then thirds. THIRDS?!! What greater endorsement do you need? Cut broccoli into florets, leaving some stem intact. Combine broccoli, garlic and oil in large bowl. Season with salt and pepper. Place broccoli onto baking sheet and roast in the oven for 15-20 minutes, shaking and/or turning broccoli halfway through. The broccoli will be nicely browned on the tips when it is done. I love broccoli! and it’s my favorite roasted — my recipe is similar to yours above except I add a bit of sugar to the mixture beforehand as well. And squeeze lemon juice & toss in parm after it comes out of the oven. Yummy! I bet the sugar caramelizes the broccoli nicely. Will have to try that soon! This will help me eat my veggies for sure! This is awesome! 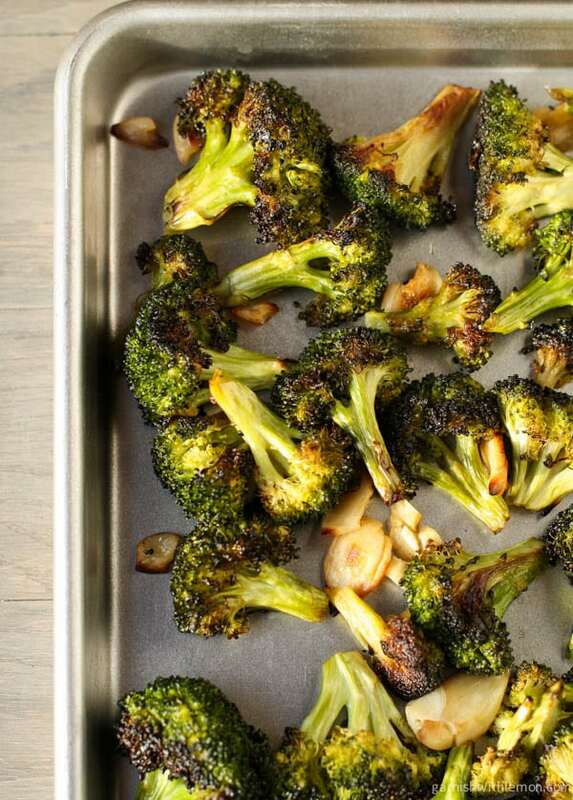 We LOVE broccoli and I’ve been looking for a great way to roast it.